Please join us for an artist talk and gallery walkthrough with artist Rose Barron for her solo exhibition Sweet Dreams and Nightmares, featured in the Maloof Gallery. 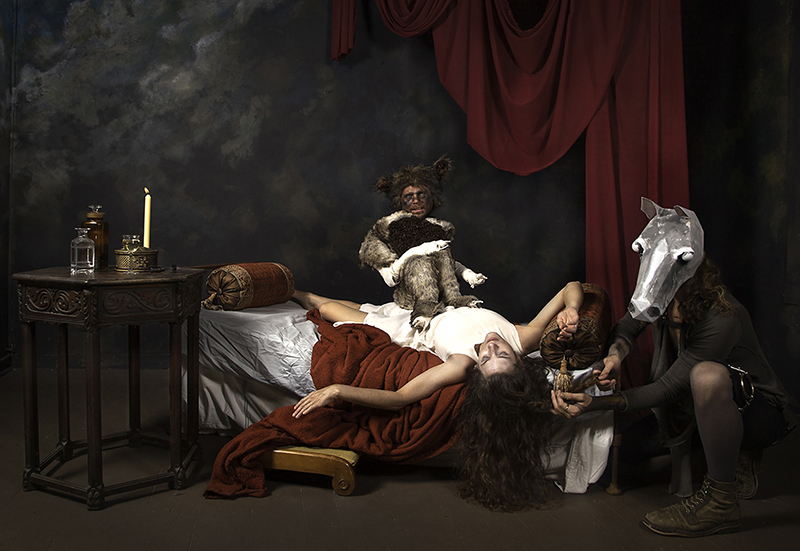 Creating her own tableaus inspired by historic paintings and literary references, Barron presents women in scenes that defy our expectations about gender, age and sexuality. Barron’s tableaus flaunt a contemporary desire for lush excesses alongside ancient themes found in folklore and mythology, such as love, betrayal and salvation.